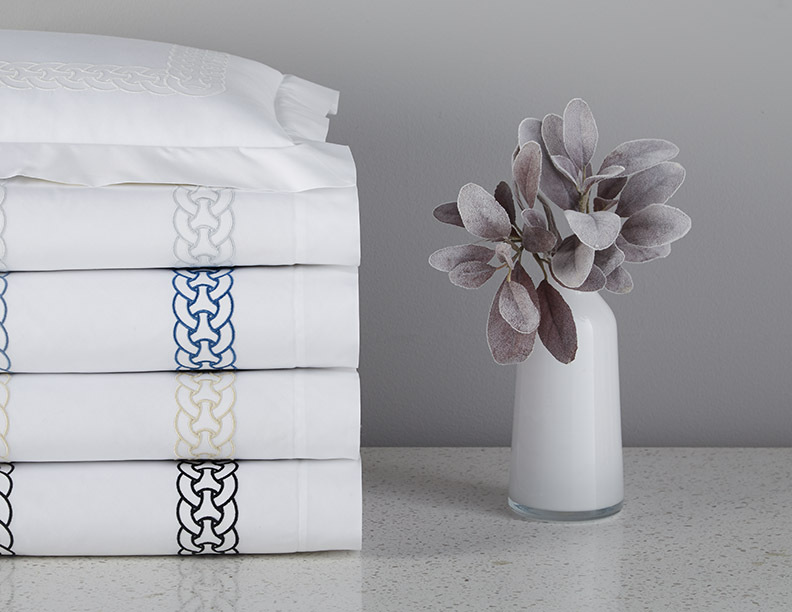 This bold and beautiful circular chain embroidery on our 500 thread count, Egyptian cotton, Italian percale, is coupled with our coordinating sateen quilted coverlet to create a distinctive look for a timeless bedding ensemble. Machine wash warm on gentle cycle. Wash dark colors separately. Turn inside out. Use mild detergent; do not use bleach. Tumble dry on low heat setting. Iron as needed.